From Outlook all the way in Croatia, to Wireless in my hometown LONDON, I thought I’d kick start the festival trend with some of my favourite looks of this season. I know the weather has been like living in a rainforest lately … but hit or miss… it’s nothing a pair of wellies or sunglasses can’t fix. Bikinis, shorts, short shorts, even shorter short shorts (awkward for the lisps readers), snapbacks, trainers, crops, tees, raincoats, sun, rain, and flip flops (if you want to walk around barefoot because your shoes are playing stuck in the mud!) I decided to give you a hand with the sort of things you should PARTY and BULL in, this festival season. For summer festivals, shorts are a MUST. Don’t be the douchebag that turns up in a pair of skinny jeans! Shorts can be seamlessly paired with t-shirts and vests to give an outstanding look. 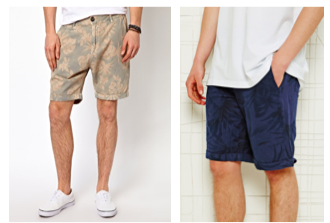 The Middle pair of shorts is a pair of bleach washed denim shorts from Topman. The bleached shorts are incroyable for the summer, however make sure you don’t roll the shorts to high, they are shorts not HOT PANTS. We can’t have the guys in shorter shorts than the girls… can we? The shorts on left and right pair of shorts are available from ASOS giving you that quirky festival edge using the dip-dye effect. The second row of tropic/floral shorts are a must for festival attire. The left pair is from ASOS, and the pair on the right Urban Outfitters. These shorts can be dressed up with a buttoned up shirt, or down with a plain cool white tee. We all know that the british weather is unpredictable so in the off-chance of it raining, be prepared in a pair of swim shorts, like this pair of Native Youth swim shorts available on ASOS in the middle.The pair on the right and left are both available from Urban Outfitters, so don’t worry about the rain, cos every little TING is gonna be alright. Te first tee, is by one of my favourite up and coming independent designer brands, Happy Chap. The Evoking Happiness tee which is available in 4 different colours, takes advantage of the ‘large slogan’ tshirt trend. 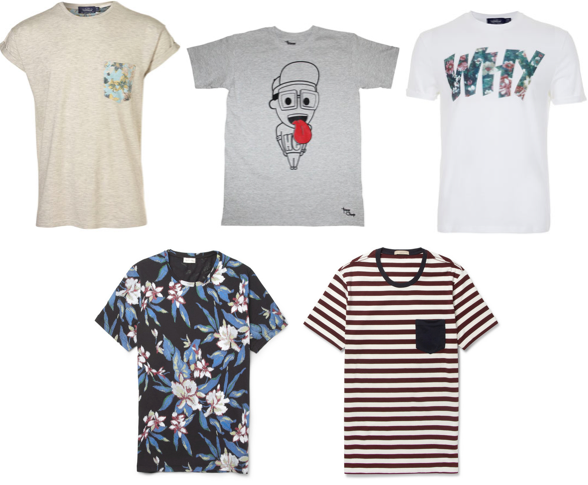 The tshirt in the middle is a floral print t-shirt by Sergio DeNimes which follows this summers floral trend. There are various floral t-shirts on the market, but this one is DA BOOOMB! The third and fourth tops are available from Mr Porter if you are BALLIN‘ and in one of those moods to splash the cash, impulse buy and go a little high end… then STOP RIGHT NOW, THANK YOU VERY MUCH, IF YOU NEED SOMEBODY WITH A DESIGNER TOUCH… HEY YOU WHO ALWAYS HAS THE CASH GOTTA HIT MR PORTER IN A DASHHHHH! Saved the best for last???? Us girls have a wider choice of outfits to wear for wireless, from accessories to footwear (don’t be jel guys) so let’s cut the chase and start with bottoms. I do not recommend wearing a skirt to festivals, whether your crowd surfing… or grinding on yourself… like i will be… you don’t want to flash away your dignity (not mentioning any names… cough cough Lohan… exiting a car photos) if ya get my drift. You can wear a dress, but remember to wear little shorts underneath… just incase. 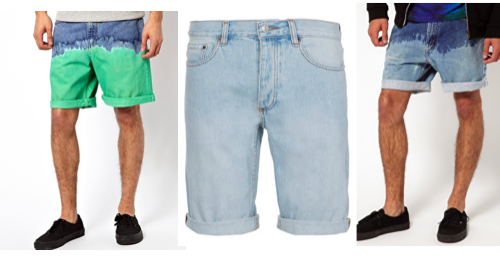 SO here below are a few shorts that are cool and hip, that you can bump and grind to with ease. 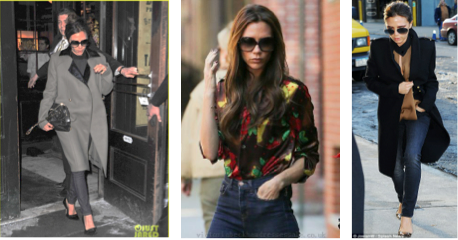 The first and second pair of shorts are both available from Urban Outfitters, the third from Topshop. The fourth pair is from American Apparel, and the fifth and final pair for the people with ARAB MONEYYYYYYY, Net-A-Porter. These shorts will have you looking BOOTILICOUS. Can I get a WHATTTT WHATTTTTTTTT. Any top, crop, tee can go with these shorts. Here are a few of my favourites. The first bralet is available from ASOS, can be paired with one of the shorts listed above… actually any top I have listed can go with the shorts above, because that’s how I roll! 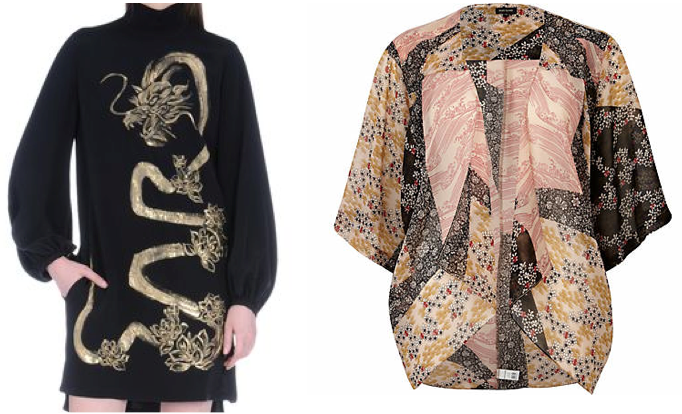 The second embroidered boarder shirt is from Topshop. The third tee is from Just Cavalli, kicking off the URBAN trend that a lot of celebrities are following these days with the likes of Cara Delevingne and A$AP Rockyyyy rocking this trend well. The final crop is also from Asos. Because the weather is always amazing.JUST incase the weather is feeling hormonal and it decides to rain or something… You can still look FESTIVALICIOUS… and THEN SOME!!! The first delish kimono is from ASOS, the parka jacket in the middle is a Leah Chambray design, and the last but certainly not least kimono is from Topshop. So there you have it…. 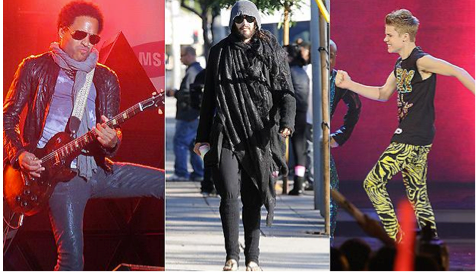 a few outfit choices for you guys to wear for festivals. Stay posted to my bloggggg bitchesssss. To all my fans/followers who are disappointed in the lack of consistency with my blog… from this point on I will be devoted. As you can see, things have changed slightly, and to quote a cliche lyric from a song…. I’m riding solo, riding solo, solooooooo. Me and my bestie have parted ways because of other commitments, however he will still have a say here and there (wicked wicked… jungle is massive). So enough of the boring reading, updates, and stuff you readers couldn’t really give a shiz about… allow me to kickstart the new and improved wicky wickkkyyyyy REMIX of the La Beauté dans Vous blog 2013. I haven’t blogged for a while so I thought why not reintroduce our birthday post, with this double-trouble duo. 27 years ago NOT ONE but TWO fashion and TV icons were born. 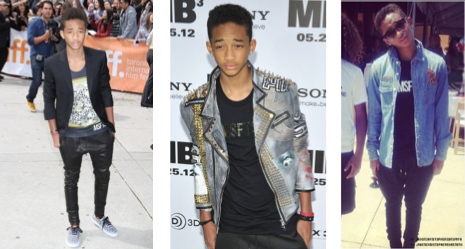 Started as child actors, now they here, Started as child actors, now they have two independent clothing labels. Mary-Kate’s signature ‘homeless’ look has been an inspiration to the bohemian chic trend … copied by FASHIONISTAS. At the age of 20 they launched, ‘The Row’, (one of their most EXPENSIVE lines to date) which reflects a sense of relaxed and timeless elegance. 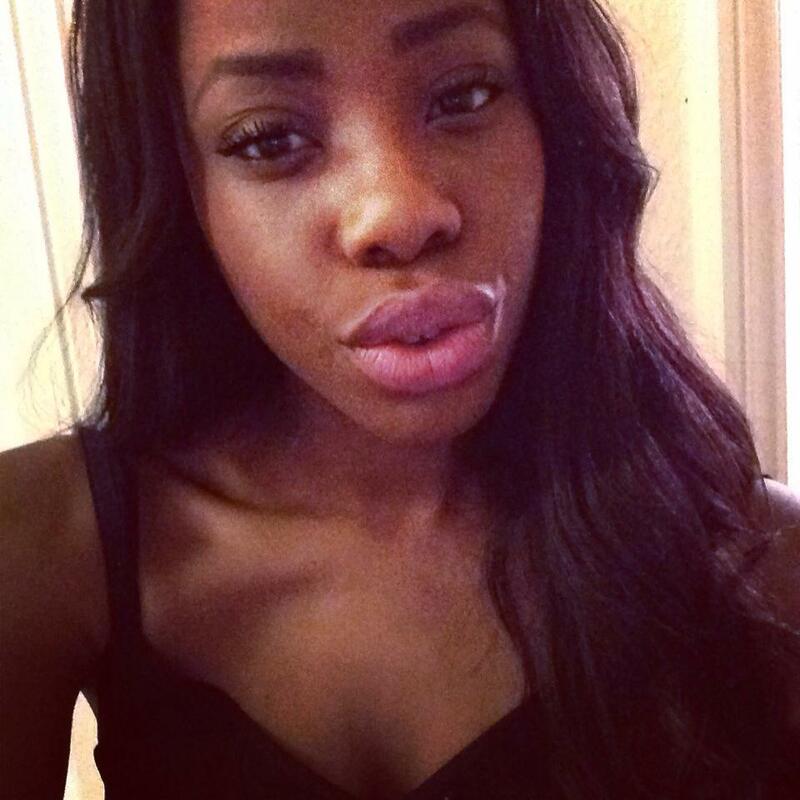 GIRL SAY WAHHHHH!!! The Olsen Twins, used ‘Elizabeth and James’, to narrow the gap between designer and contemporary fashion. 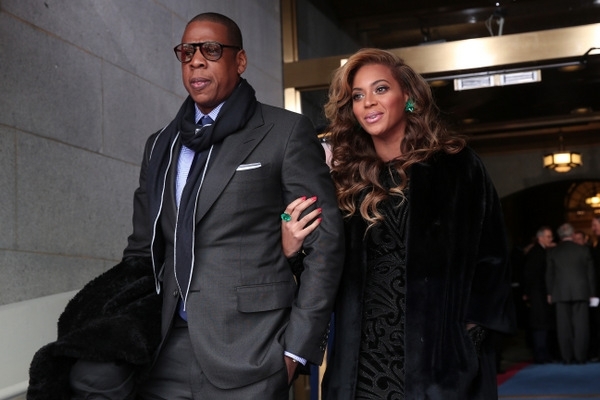 In 2012, they were named Womenswear Designers of The Year, by the Council of Fashion Designers of America. 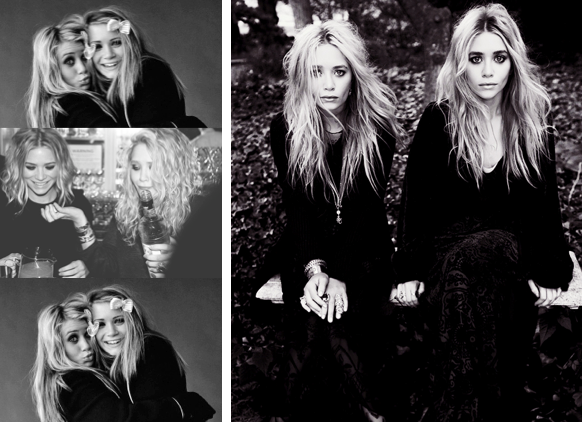 Mary Kate and Ashley and FRICKIN’ AWESOME! 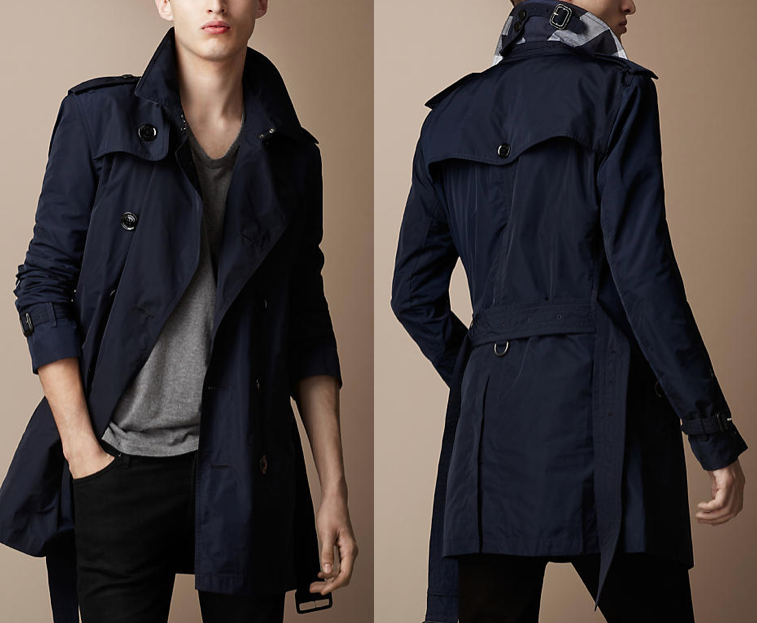 Fashion copies them, they don’t copy fashion, which can be seen through their collections. For these reasons they are my joint second favorite designers next to Victoria Beckham. Marc Jacobs was born on this very day 50 years ago… for a guy who has reached half a century he looks FRICKIN FANTASTIQUE!!! Jacobs is best known for his Marc Jacobs, and Marc by Marc Jacobs collection, as well as being the creative director for Louis Vuitton. Some say he changed the fashion world. In 1987 he became the YOUNGEST DESIGNER ever to receive the CFDA’s Perry Ellis Award for New Fashion Talent (You Go Glen COCO). Marc Jacobs International was launched in April 1994, and in the spring of 2001, Jacobs introduced his secondary line, Marc by Marc Jacobs. Jacobs is an Inspiration to fashionistas because of all the shiz he went through to get to where he is today. He is a perfect example of someone who has “started from the bottom now we here”, to paraphrase Drake, and this is why I thought I’d give a MASSIVE shoutout LA BEAUTÉ DANS VOUS STYLE to this fashion legend. LONG LIVE MARC JACOBS…. As you all know there’s been a debate about what’s in an out of fashion. Shows like fashion police, articles like who wore it better… and who’s made it on to the best and worse dressed list… however who’s to say that what one person see’s as fashion another person can’t. In my eyes fashion is subjective … look at lady Gaga’s meat dress she wore to the grammys … who wears MEAT TO THE GRAMMYS … C’mon that’s a bold frickin statement. I totally agree with this… fashion is about taking risks … fashion should be about who you are as a person … an expression of your own individuality. 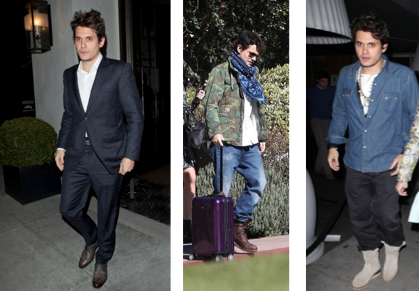 I find that people stick to the same old boring outfits when it comes to fashion. Nobody wants to take a risk, because they are afraid of what others think….. WHO CARESSSS as McQueen said there is beauty in everything…. Live a little… YOLO (for those of you who don’t know what YOLO means… You Only Live Once… GOD I hate this word… but it kinda goes with this blog) It’s true what they say, ‘one mans trash is another mans treasure!’.